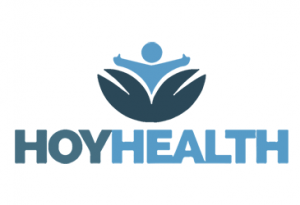 MORRISTOWN, N.J –Hoy Health Tuesday announced that it has completed a multi-million dollar first round of its Series Seed Preferred investment, led by 3 Ríos Ltd., RAAD Broadcasting Corp. and Ríos Commercial Corp. The new funds will be allocated to help build Hoy’s unique platform, leverage consumer data and insights into providing incremental products, value and price transparency, and build on the Hispanic focus to capture broader opportunity in providing access to affordable quality primary care for all insured and non-insured consumers. Following financing, Hoy will increase marketing support for HoyRx where, for the first time, consumers can purchase medications either online, or at any of Hoy’s growing list of physical retail points, and have them delivered to their family in Latin America within 24 hours. With this funding, Hoy announces new strategic hires, including Martin Greger, chief product officer, Jose Aguilar, chief strategy officer, Patrick Todd, chief marketing officer, Jose Febus, chief technology officer, Dr. Hilton Perez, chief clinical officer, and Lenis Guzman, director of marketing.